Gagalaxies is a single-player sci-fi turn based strategy game which focuses on decision making rather than empire building. The game revolves around differents strategies that the player can select at the beginning of each turn and which determine his order of play. In Gagalaxies playing first is important to move first and block enemy units as well as to be able pick an another very demanded strategy. As the artificial intelligence is programmed to prevent any other players from getting too powerful, as much as possible, war is not always the best option. 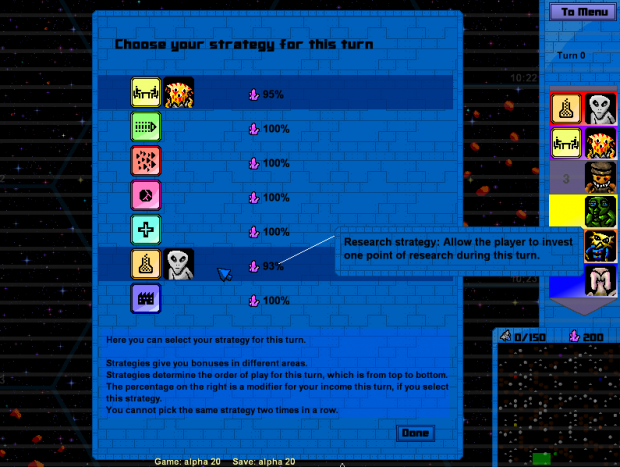 - Strategy based gameplay: 7 strategies that can change the course of a game. - 12 Races with differents units: Balanced races, asymmetric races, crazy races. 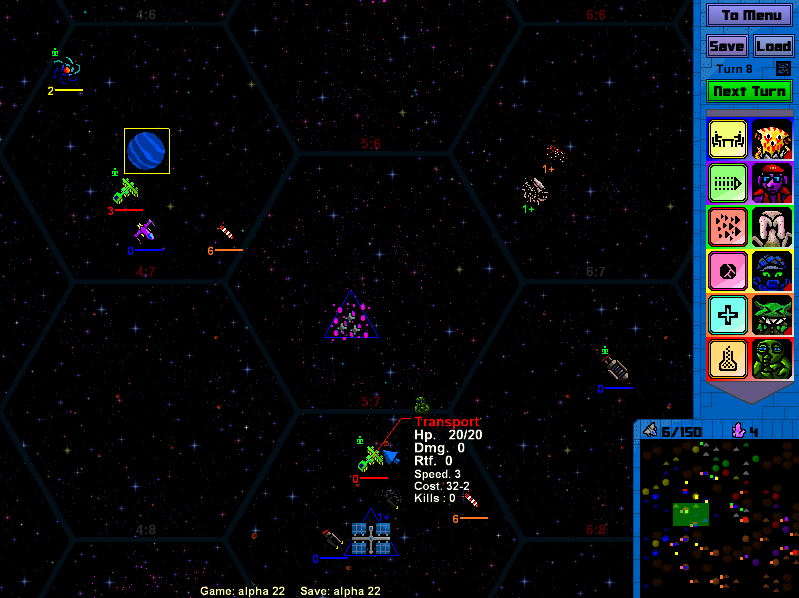 - Conquer planets to gain economic and industrial advantage. - 5 types of assets to capture: Mineral field, Pirate factory, Combat enhancing satellite, supply and repair station. - Random events make the world evolve as the game goes on. - 12 different map settings. It uses nothing but the gosu library. It's windows only (I need to find a way to distribute it on linux). Wow, that came out of nowhere! Looks very interesting and I'll try to look at it soon (I'm on Linux at the mo); certainly a game style suited to Ruby/Gosu! Take a look at my releasy gem which will help you release for Windows/OSX/linux if you want to. Hello, I just found this and, could you create a Mac OSX version, this looks very interesting. Looks really cool! I'll have to make time to give it a play. How long have you been working on this? More than a year. But I stopped now.